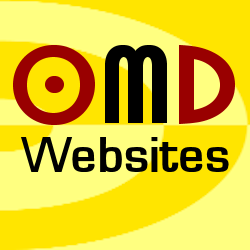 OMD Websites is a division of On My Doorstep Ltd and takes your privacy seriously. We will only use the personal information you submit to administer your account and to provide the products and services you have requested from us. If you would not want us to use this information in this way please indicate this when you contact us. We are committed to ensuring that your information is secure. In order to prevent unauthorized access or disclosure, we have put in place suitable physical, electronic procedures to safeguard and secure the information we collect online. We store data electronically (email, secure online database, account software etc) and in paper format (printed order form summary). All computer systems are password protected; our online database has two levels of security for access. Paper records are locked away outside of normal office hours. All paper records are shredded and data held within our database deleted should the agreement between On My Doorstep Ltd and the customer end. We will not share this data with any other business or organisation except with professional advisors who provide for example legal or accountancy services to On My Doorstep Limited. If we believe that your information has been breached and there is a high risk to freedom, financial loss, reputation damage, confidentiality loss, or significant other economic or social disadvantage, we will report it to the ICO and yourself within 72 hours. When someone visits www.omdwebsites.co.uk we use a third party service, Google Analytics, to collect standard internet log information and details of visitor behaviour patterns. We do this to find out things such as the number of visitors to the various parts of the site. This information is only processed in a way which does not identify anyone. We do not make, and do not allow Google to make, any attempt to find out the identities of those visiting our website. We aim to respond within 30 days of receipt of your request. If you do not agree to the above then click here to exit website.